The NASA CFD Vision 2030 Study (Reference 1) was published in 2014. In it, the authors cite impediments in the then current state-of-the art of applied computational fluid dynamics (CFD) that must be overcome if NASA is to effectively use CFD on the challenging applications the agency will face by the year 2030 (for example, large eddy simulation of a powered aircraft across its entire flight envelope). Generation of suitable meshes about complex configurations is said to constitute a principal bottleneck in the process. Mesh generation is said to constitute the dominant cost in terms of human intervention. Current mesh generation software is said to be unable to consistently produce valid, high-quality meshes of the desired resolution about complex configurations on the first attempt. Coupling and linking of geometry models to both mesh generation software and CFD solver software is said to be lacking. Geometry models themselves are said to be poorly suited for CFD. Mesh generation software is said to not scale appropriately on parallel computer architectures. After reading and discussing the study, the membership of the AIAA's Meshing, Visualization, and Computational Environments (MVCE) technical committee agreed to take ownership of the study's citations that fell within its charter, including those related to geometry preprocessing and mesh generation. Regarding the latter, MVCE hosted a panel discussion on geometry and meshing at SciTech 2015 (Reference 2) and three of its members authored a paper on the topic in 2016 (Reference 3). MVCE next decided to adopt the AIAA's successful CFD workshop model to begin a multi-year effort to address and monitor progress in the fields of geometry preprocessing and mesh generation toward the 2030 goals. AIAA’s successful series of CFD-related workshops has a lineage that begins with the Drag Prediction Workshop which recently completed its sixth incarnation. Other CFD workshops have involved shock wave/boundary layer interaction, propulsion aerodynamics, aeroelasticity, high-order methods, and sonic booms. One of the newer workshops is the High Lift Prediction Workshop (HiLiftPW). Launching a new workshop for MVCE was a daunting task that was made easier through a collaboration with HiLiftPW, facilitated by the fact that the CFD Vision 2030 Study’s lead author also currently leads HiLiftPW. With the full support of the HiLiftPW organizing committee, MVCE agreed with AIAA to launch the 1st AIAA Geometry and Mesh Generation Workshop (GMGW-1) and hold it concurrently and collaboratively with HiLiftPW-3 the weekend prior to AIAA Aviation 2017. GMGW-1’s collaboration with HiLiftPW-3 centered on the NASA High Lift Common Research Model Wing-Body configuration (HL-CRM-WB) (Reference 4) shown in Figure 1. The HL-CRM-WB was used as one of three test cases for HiLiftPW-3. The full HL-CRM represents a typical commercial transport aircraft flaps, slats, pylons, and nacelles. Its wing-body configuration (HL-CRM-WB) used for the two workshops included only a single leading edge slat and inboard and outboard trailing edge flaps that were not attached to the wing. In other words, for the purposes of simulation, the components were “flying in formation.” Because design and manufacture of the full HL-CRM wind tunnel model is ongoing (and therefore no wind tunnel data is available for comparison), the two workshops used the HL-CRM-WB for a grid convergence study. 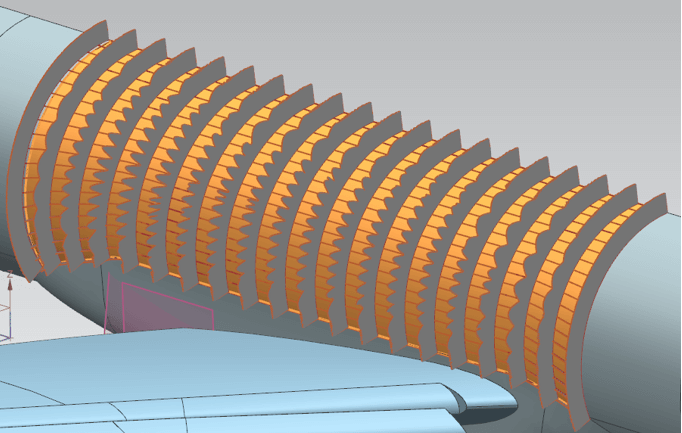 Figure 1: Top view of the HL-CRM wing-body geometry showing detail of the gap between the trailing edge flaps. Workshop participants were provided with the HL-CRM-WB geometry model in several formats including IGES, STEP, Parasolid, NX, and Creo. Final design work of the HL-CRM-WB was performed in Siemens NX v8.5 and therefore its native file is considered to be the definitive source. Except for the Creo file, the other formats were all exported directly from NX. The Creo file was created by importing the Parasolid file into Creo and exporting a native Creo file. The use of Creo was considered relevant because the full HL-CRM wind tunnel model, to be used as the basis for HiLiftPW-4, is being designed in Creo. There were two variants of the HL-CRM-WB: one with a full gap between the flaps and a second with a partially sealed gap between the flaps (see Figure 2). The latter was significant as the wind tunnel model for the HL-CRM (likely to be one of the cases for HiLiftPW-4) would have partially sealed flap gaps. 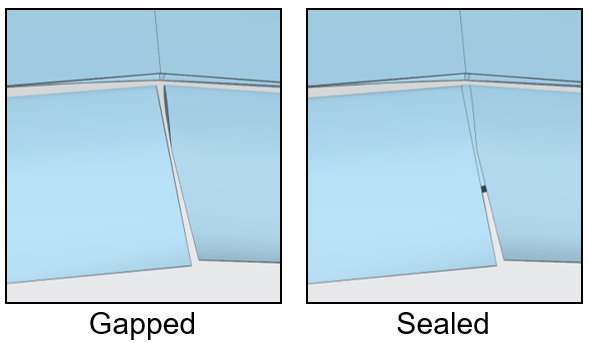 Figure 2: Comparison of the full gap (left) and partial gap (right) configurations of the HL-CRM-WB trailing edge flaps. The first objective of GMGW-1 was to generate families of meshes to be used for a grid convergence study by HiLiftPW-3 participants. With a Reynolds Number of 3.26 million and a reference chord of 275.8 inches, each mesh family was to include coarse, medium, fine, and (optionally) extra fine resolution as described in Table 1. Table 1: Mesh resolution criteria for the HL-CRM-WB mesh convergence study. The medium resolution mesh was supposed to be the type of mesh a user would typically use in the normal course of applied CFD for a configuration of this type. Cell counts were not specified in advance and were to be a result of applying the HiLiftPW gridding guidelines (Reference 5). These criteria formed the basis of the procedures used to assess GMGW-1 participant’s meshes. Because of its status as an ISO standard designed specifically for CFD data portability, CGNS was chosen as the primary format by which grids were to be distributed. The two structured grid types were also provided in PLOT3D format. The unstructured grids were also provided in UGRID and the meshing software’s native formats. A summary of the committee meshes by designator, mesh type, flap configuration, resolution, and file format is listed below. The unstructured meshes (B1, B2, and B3) were the most used (in that order) followed by the overset structured grid (A). No participants used the multi-block structured grid (C). HiLiftPW-3 participants were polled about their use of the committee meshes and the results of that poll revealed two interesting problems. On the positive side, no participants had to modify the meshes in order to use them with the exception of one participant who had to convert the mesh’s units. All meshes converged successfully without modification, although one user of the overset structured grids reported having to disable multigrid in his CFD solver. This is not thought to be a problem with the mesh; it is believed to be an issue in the solver’s domain decomposition algorithm for parallelization. The first problem was that half of the responding participants could not use the meshes in the provided format. More specifically (and perhaps alarmingly) the problems all involved the CFD software’s inability to import the CGNS files as written. No conclusions have yet been reached on why importing a well-documented, standard file format is so problematic. Second, despite success in running and converging the CFD solution on the committee supplied meshes, 70 percent of responding participants indicated they would have generated the meshes differently (where grid points were clustered on the wing and fuselage). This also proved to be true for meshes generated for the JAXA Standard Model, HiLiftPW-3’s second case (with which GMGW-1 was not involved). The conclusion is that even though mesh generation experts can certainly generate perfectly adequate meshes that can be run to convergence, domain expertise is required to achieve a mesh that is truly fit for a particular purpose (high lift systems, in this instance). The second objective of GMGW-1 was to have workshop participants mesh the HL-CRM-WB and present the resulting meshes and an evaluation of their meshing process at the workshop. Eighteen participants were up to this challenge, including one participant who meshed the older CRM configuration as a test of their in-work meshing technique. Three participants withdrew prior to the workshop. Participants represented a cross section of vendors, industry, government, and academia. The majority of participants used commercial meshing software but in-house and government tools were also represented. The HL-CRM-WB geometry model contained two types of modeling flaws that challenged the meshing software. While the meshers’ experiences with the model were more or less consistent, no one geometry problem consistently caused trouble in each mesher. The two flaws were overly dense and non-uniform parametrizations and variations in curvature continuity. The first is illustrated in Figure 3 and Figure 4 for the front portion of the wing-body fairing. The source of this problem is thought to be the particular choice of surface modeling technique employed to create this surface. Figure 3: One of the HL-CRM-WB surfaces that used an overly dense and non-uniform parametrization is shown here. Image from Reference 6. Figure 4: A geometric fold on the order of 0.1 inches in the fairing is shown in this detailed view. (See red box in Figure 3.) Image from Reference 6. 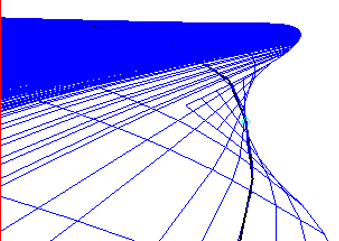 The geometry problem regarding curvature is illustrated in Figure 5. The source of this problem is thought to be use of a complex surface when a cylinder would have been equally accurate, less problematic, and simpler. 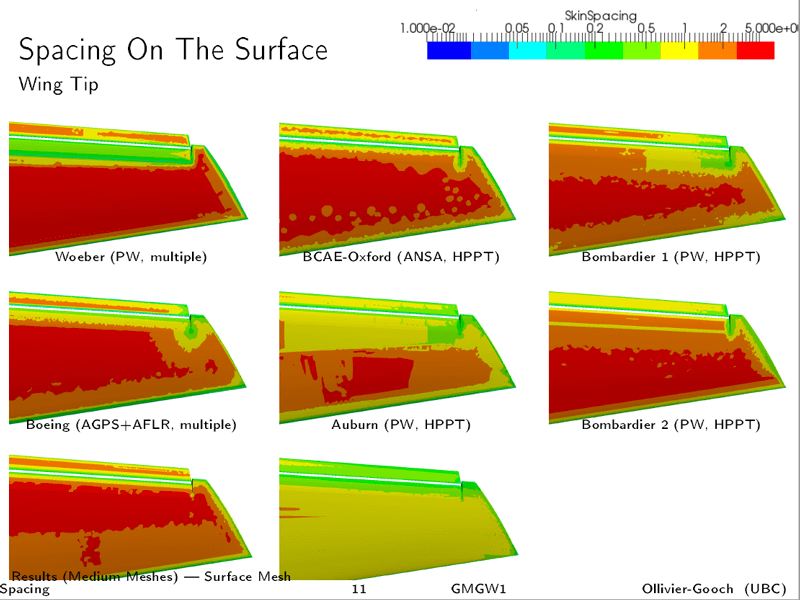 Figure 5: This fringe plot shows undulations in surface curvature on the upper portion of the HL-CRM-WB center fuselage. 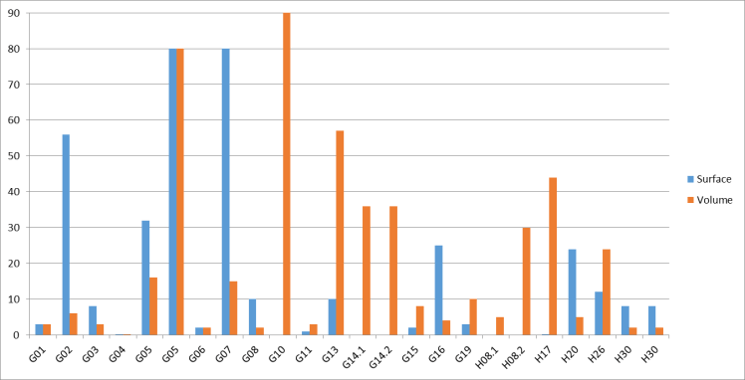 From a more practical side of geometry modeling, the majority of participants used the IGES file with a few others using STEP or Parasolid. This runs contrary to much current thinking on geometry interoperability in that the NX file, being the native file of the originating CAD software, should have been preferred. Even ignoring the benefits of using a native file, the fact that the much pilloried IGES format was favored over the more modern STEP standard is counterintuitive. Assessing structured grids involved answering the following questions. Validity: Is the volume filled without degeneracies, are surface mesh points actually on the geometry model, and are all components of the geometry model resolved by mesh? Quality: Is cell stretching and cell skewing within an acceptable range? The easier of the two questions was the one about mesh quality. All structured grids were deemed to meet or nearly meet the acceptance criteria. 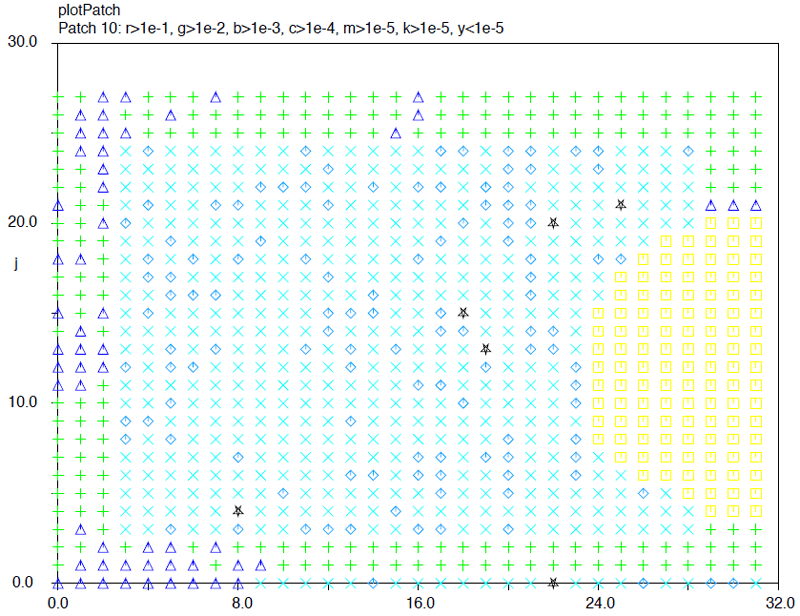 Figure 6: Plot of distance from surface grid points to the geometry model for one of the structured grids. Image from Reference 7. More challenging was the assessment of whether surface grid points were actually on the geometry model as illustrated in Figure 6. In order to conduct this assessment, each grid point was projected onto the geometry model using a third party geometry kernel. Because of the differences between how different meshing software imports and evaluates geometry, it is not clear whether use of a third party kernel was accurate in the sense of being consistent with the mesher. Additionally frustrating was the fact that the mesher knows where each surface grid point is on the geometry model, down to the patch ID and parametric coordinates. Yet that data is never transferred downstream to other applications and therefore has to be re-created in a laborious process. Similar to the assessment of the structured grids, unstructured meshes were tested against the following questions. Validity: Is the mesh topologically correct with positive volume cells? Spacing: Is the mesh spacing at the walls within the gridding guidelines? Quality: Is volume ratio within an acceptable range? An illustration of the wall spacing is shown in Figure 7. All meshes with one exception met this criterion. The same can be said of the volume ratio computation with one exception where differing methods of cell volume computation led to different results on either side of zero. This points out the problems that can be caused by a lack of a consistent meshing vocabulary for metrics (names and method of computation). 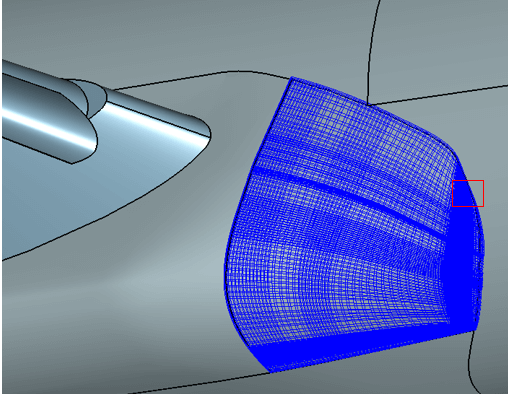 Figure 7: Comparison of mesh spacing off the wing tip upper surface for several unstructured meshes. Image from Reference 8. Each GMGW-1 participant was required to complete and submit a participant questionnaire (PQ) detailing their meshing process including the wall clock time required to complete various portions of the process. Notable results are listed below. Figure 8: Meshing time as reported by GMGW-1 participants. Image from Reference 9. It appears that all participants expended effort on preprocessing the geometry model after import to address a variety of issues. While most participants reported spending less than one hour on this task an intermediate level of geometry expertise was required. Surface meshing time ran the gamut from minutes to more than two weeks. At the high end of that range are the structured grid generators. At the low end you have techniques where the surface mesh is generated as a by-product of the volume mesh. The range is typified by two presentations in particular, one by a vendor and one by that vendor’s customer. The vendor took time to explore all the intricacies of the process interactively, driving up meshing time. On the other hand, the customer had automated their use of the vendor’s code and delivered a surface mesh in mere minutes. See Figure 8 for details on meshing time. Volume meshing time showed a similar spread from minutes to days. The expertise required for the two meshing tasks skewed higher than geometry preprocessing, with more expert-level knowledge required. The 1st Geometry and Mesh Generation Workshop proved to be a success. Fifty participants were fully engaged in two long days of frank, detailed presentation and discussion of the current state of geometry preprocessing and mesh generation for CFD. In addition, the 3rd CFD High Lift Prediction Workshop was able to leverage GMGW-1's effort on meshing to better focus their work on the CFD results. MVCE is planning several technical paper sessions to be held at AIAA SciTech 2018 that will delve deeply into the meshing and mesh evaluations of GMGW-1. An updated version of the HL-CRM-WB geometry model is being created to eliminate the modeling problems cited above. This model can then be used for future workshops including the 5th International Workshop on High Order CFD Methods for which the HL-CRM-WB is one of the meshing challenge cases. Planning is already underway for the 2nd AIAA Geometry and Mesh Generation Workshop. If you have suggestions for topics or methodologies for GMGW-2, email them to the organizing committee at meshingworkshop@gmail.com. In the meantime, all presentations from GMGW-1 have been posted to the workshop’s website, www.pointwise.com/gmgw, and are available for you to review. Jeffrey Slotnick et al, “CFD Vision 2030 Study: A Path to Revolutionary Computational Aerosciences,” NASA/CR-2014-218178, URL: https://ntrs.nasa.gov/search.jsp?R=20140003093. John Chawner et al, “Geometry, Mesh Generation, and the CFD 2030 Vision,” AIAA Aviation 2016. Doug Lacy and Anthony Sclafani, “Development of the High Lift Common Research Model (HL-CRM): A Representative High Lift Configuration for Transonic Transports,” AIAA paper no. 2015-???. Nigel Taylor, Bill Jones, and Mark Gammon, “The NASA High-Lift CRM: Geometry Models for GMGW-1 & HLPW-3,” presented at GMGW-1. John Dannenhoffer, “Assessment of Structured Grids,” presented at GMGW-1. Carl Ollivier-Gooch, “Analysis of Unstructured Meshes,” presented at GMGW-1. Nigel Taylor, “Participant Questionnaires: Initial Analysis,” presented at GMGW-1.